People often see the polished finished fashion shoots, but we like the behind the scenes rawness. All the fun mistakes and backstage issues you get are a learning. What is nice about shooting a sustainable collection is that outsiders see the clothing before anyone else, seeing the feedback and the positive response is great. 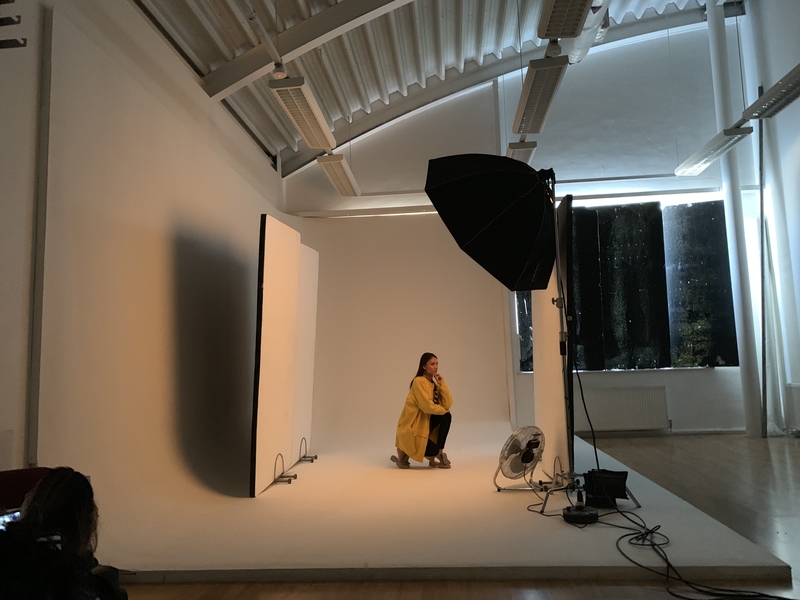 Shooting an editorial commercial shoot the days are long, but the crew and team behind it have a common goal, getting beautiful imagery to show our sustainable, zero waste knits. Take a look at our fun candid scenes behind our last shoot.